While riding attractions might not seem like the obvious choice for something to do by yourself, it can be a great opportunity to get on some attractions and only having to wait a short period of time. California Screamin' Single Rider Line. Photo by Megan Walker. Before I start, however, full disclosure: While you can do single rider on attractions even if you have a party of 10, you'll just be split up. For those of you who don't know, there are certain rides in both Disneyland Park and Disney California Adventure Park that offer a "single rider" line that is separate from their Fastpass or Standby lines. California Screamin' Single Rider Pass. Photo by Megan Walker. 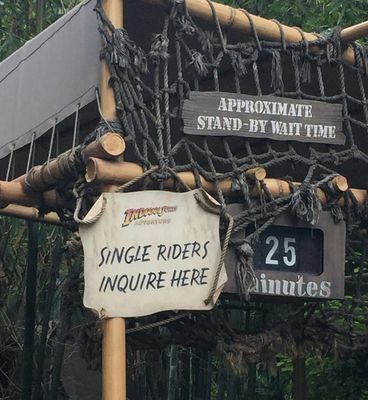 If you're by yourself at Disneyland and desperately want to get on some attractions, utilizing the single-rider line can be of some advantage to you. While it's definitely not an immediate walk-on, it will usually cut down your wait significantly compared to waiting in the standby line. Indiana Jones Single Rider Entrance. Photo by Megan Walker. Another great thing to do when you're by yourself at Disneyland is to take in the shows. 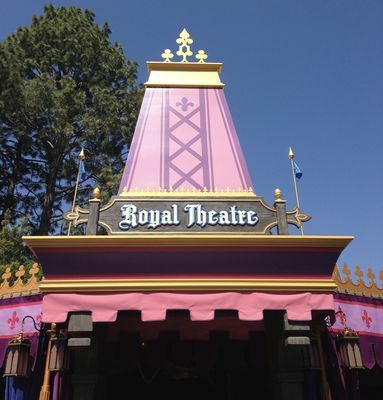 There are all kinds of shows to see and experience at the Disneyland Resort and, sometimes, when you're trying to get as many attractions done as you can, you can easily skip over these shows without thinking much about it. There are so many shows to experience, including, but not limited to, Jedi Training: Trials of the Temple, Mickey and the Magical Map, the Royal Theatre productions of Tangled or Frozen in Fantasy Faire, any of the various musicians located throughout the resort, or the Red Car Trolley News Boys. 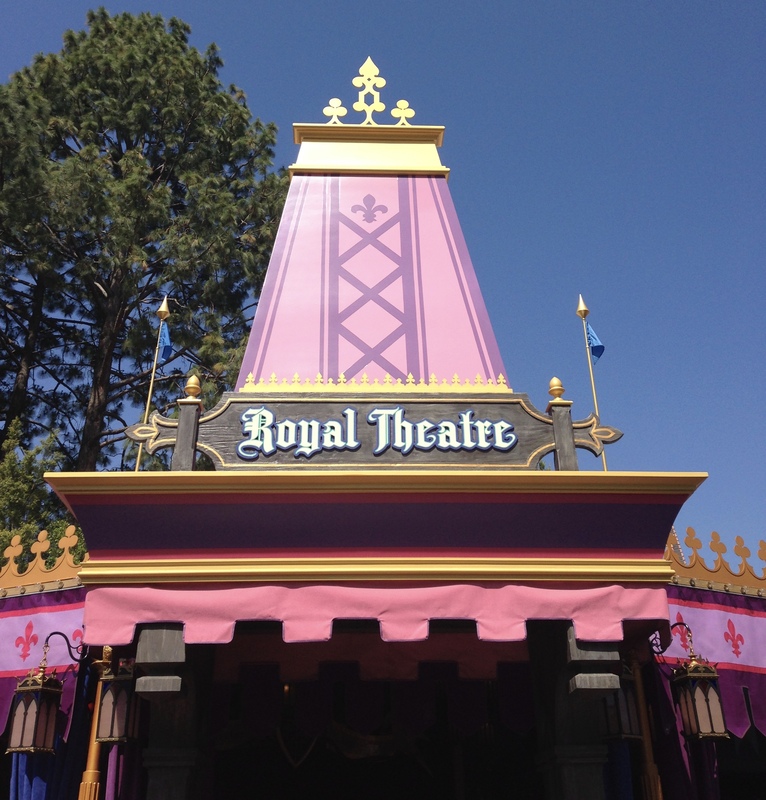 Royal Theatre at Fantasy Faire in Disneyland. Photo by Megan Walker. Who doesn't love eating their way around the Disneyland Resort? There are so many delicious different food options and snacks throughout the resort that taking some time out to try a few of them can be a fun way to spend an afternoon. Another great benefit of snacking around the parks when you're by yourself is that you can try whatever you want (this is especially useful if your usual park companion has vastly different tastes in food than you. Even better, you don't have to share. One of my all-time favorite things to do while at Disney California Adventure is the Animation Academy. Located in the Animation Building in Hollywoodland, the Animation Academy offers you the chance to watch a Disney animator draw some popular Disney characters while you follow along step-by-step with your own paper and pencil. Not only is this a lot of fun, but it's really easy. Even if you have no artistic talent, you will absolutely be able to create something here; the animators are great at laying out the sketch in easy-to-follow steps. Plus, you get a free souvenir of your very own Disney character sketch. While this attraction can be enjoyed with any number of people, I always have fun going in here when I'm by myself to learn something new. 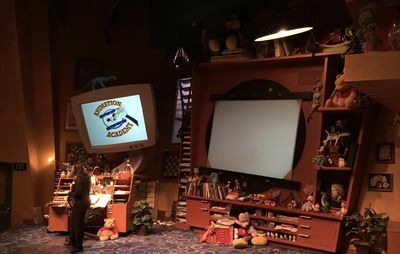 Animation Academy at Disney California Adventure. Photo by Megan Walker. Finally, being at the Disneyland Resort is considered a "vacation." Even if you're a local, sometimes the best thing you can do for yourself at Disneyland is to relax. Get a nice cold Mint Julep, grab a bench, sit back, and relax. Enjoy the atmosphere, the sights and sounds, and everything else the resort has to offer and, above all, just have fun. If you find yourself facing a day by yourself at Disneyland – don't fret, you can have just as much fun as if you were with your entire family. Pick what your favorite things are to do in the parks and do them anyway. When I got an AP, I knoew I'd be coming alone at times, but knew that would be fine based on the times I'd been alone if my family returned to the room earlier than me. A couple of SR comments. The Batterhorn does SR on both sides, although you may or may not have a choice when you ride. Also, SR on Soarin is not always a good plan since it's easier to fill all the seats than on many ride vehicles meaning you may save little if any time. That nickname just made my morning. It's sad that it's so bad I really don't consider the ride fun anymore. They need to make it smoother someday soon! The new portions of track are helping. I've also learned how to sit to be able to ride it back to back and still walk. Yes, SR goes to both sides, and like the regular line you can usually ask if you prefer a side. As much as I love the Batterhorn, and have learned how to wedge myself in, it really needs to just have all the track removed and put in new technology. I understand the historical significance of the track, but come on. Really let's just level it and start from scratch. They could make such an awesome ride out of it. The part that puzzles me is it was pretty fair before the renovation with the new sleds. Those sleds seem to be what doesn't get along with the new track. They said, last year, that the new sleds are way heavier than the prior cuddle seat sleds. To the point they had to replace parts of the track that were cracked from the weight. I believe this is why we get so much wetter when hitting the brake section at the bottom. For me, sitting upright, not leaning back (when I lean into the backrest, it rolls me onto my tailbone), and loosely holding the bar in front of me helps immensely. Sitting on my sweatshirt helps as well, padding. I was complaining the loudest about the new sleds the day Matterhorn reopened in 2012. Just realized I typo'ed my post (edit window expired), so just in case someone calls out what might be an error, I didn't mean to say new track, just new sleds. That weight part with the water makes sense to me. Just like I know it's going to be a soaked ride on Splash when I'm in the front seat and 3 or 4 other 6' adults (some probably at or near my 250 lbs) fill out the rest of the log behind me! Yep, same reason I always sit in back on Splash.